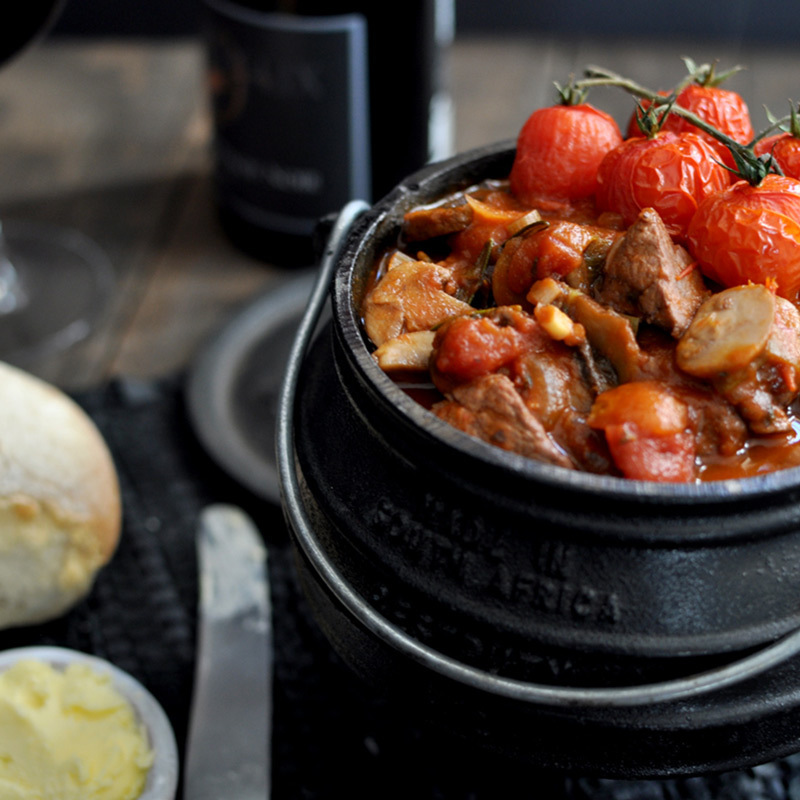 Another popular choice for a great potjie that can be enjoyed by all. Pork is succulent and tasty. 1Cut a lengthwise groove in each fillet and open carefully. 2Fill 10 of the prunes with an oyster and arrange the filled prunes in the groove of one of the fillets. 3Cover with the other fillet and bind the two fillets tightly with a piece of string. 4Heat the butter and oil and braai the meat until brown. 5Sprinkle the cake flour over the fillets and brown for another 2 minutes. 6Add the stock and the red wine and stir the sauce with a wooden spoon until smooth. 7Season the meat with the salt and pepper and cover with the lid and allow the potjie to simmer slowly for 1 hour. 8Remove the string from the meat and cut in slices but keep the pieces against each other. 9Pack the veggies around the meat in the pot, add the remaining prunes’ and add a little of the stock, if necessary, and allow the potjie to simmer until the veggies are done. 10Thicken the sauce with the cornflour mixed in a little water if needed.